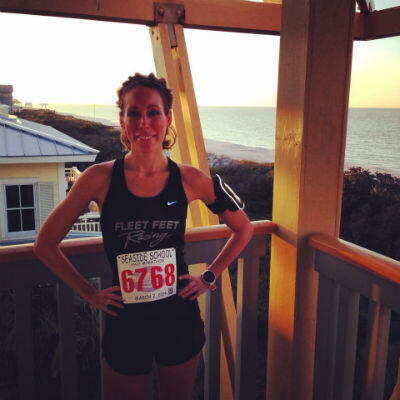 My name is Jennifer Chaffin, and I'm honored to be a part of the Fleet Feet Racing Team. I am a Nashville native, vegetarian, University of Kentucky wildcats fan, and I play the violin. I started running when I married my husband in 2008 and since then I have run races from 5K to 50K. I am an Ultradirtbag, Country Music Marathon Pacer, member of the Nolensville Running Club, and Speed Session participant. I have been blessed to meet many amazing people through running and am grateful for the joy that it brings to my life! I’m Roy and I am super excited to return to the Fleet Feet Race Team for my 4th year!! My wife, Darlene and I moved to Brentwood in 2012 from California via two years in Miami! I am 63 years old and retired from AT&T. I became pretty serious about running after I retired and was able to devote more time to training. 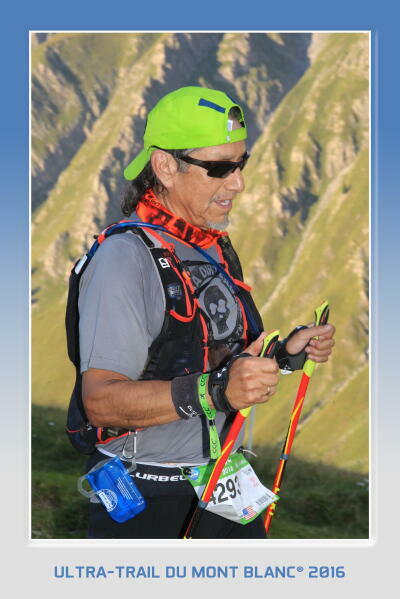 I enjoy running Marathons and Ultra Trail distances. I first started running trails after moving to Nashville and sampling the “Summer Trail Mixer” program from Fleet Feet in 2012! I was immediately hooked and quickly signed up for my first 50k Ultra Trail training program better known as “Ultra Dirtbags”!! In the same year, I also signed up for track workout training through “Speed Sessions” (also Fleet Feet) to help me get faster and run more efficiently. With these two training programs, I was able to achieve a much desired goal of qualifying for Boston!!! I’m proud to say, I have qualified every year since 2013!!! I have also been fortunate enough to enhance my running and continue to be a good Fleet Feet Ambassador throughout the country and even in Europe!! Hi! My name is Heather Kralj and I'm originally from Racine, Wisconsin. Most of my adult life I have lived in Chicago, and I started running in 2009 when I joined a gym and a treadmill was the only thing I knew how to operate. After tears of joy and pride from running my first 5K that May, I completed my first Chicago marathon 5 months later and haven't stopped since. I had my second child in July 2011 and chose Nashville as my first race back that November, and loved it so much I moved my family here. 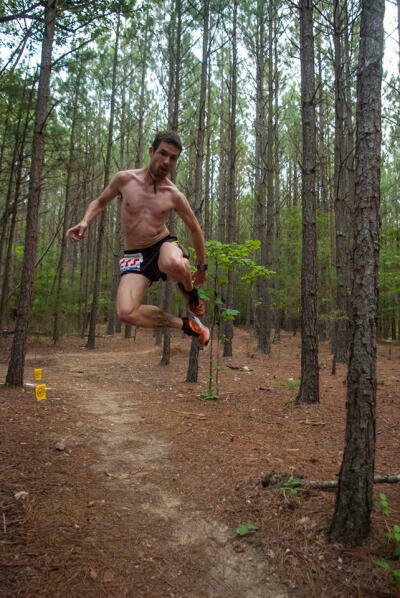 I just started running trails at the end of 2014, and have completed two trail marathons and loved every minute. Much like discovering my love of running, I've been bitten by the trail bug and look forward to my first 50K and 50 miler in 2015. My road race highlights this year will be running my third Boston Marathon and the Berlin Marathon. I am slowly creeping toward my goal of running a marathon in all 50 states and all of the World Major Marathons. One of my favorite parts of running is inspiring others to get out there and join me. I have had some of my best running joys while coaching a couch to 5K program and when I was leading a run club in Chicago with all different skill level runners. Running has totally changed my life and I am honored to be part of such a great community of runners in Nashville and the Fleet Feet race team. Hi I’m Margaret and so honored and excited to be a part of this team. I’m a native Nashvillian who grew up riding horses and running the occasional mile or two for exercise. It wasn't until 2007, when I was talked into running the Country Music half marathon (a distance that seemed impossible to me at the time), that I became hooked on running. I started training with Fleet Feet through the Speed Sessions program and learned how to properly pace and push myself. I enjoy racing various distances from 5ks to full marathons. You can find me at Fleet Feet Green Hills Run Club on Monday nights, East Nasty Running Club on Wednesday nights, Speed Sessions, and on the trails Thursday nights for Fleet Feet’s Summer Trail Mixer series. My name is Olaf Wasternack and I am a fueled by cookies and attempted to run distances from a 5k to 100miles and enjoy road and trail running equally. I really like running because it serves as a pressure release and allows me to focus to put other aspects into perspective. This allows me to go full speed ahead in other areas of my life. I am excited to be part of the Fleet Feet Nashville/Nike Team and to promote running within the Nashville area and beyond. People are always asking me what I'm training for, and here's my constant answer: LIFE. 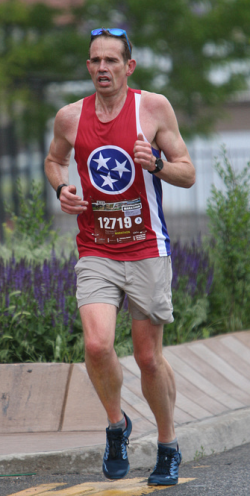 Running, the beautiful community of runners here in Nashville, helping folks with their wellness goals, and spending time in the park or on the road, make me happy. I started running competitively about 20 years ago when I found it was a sport I could beat my college-ball-player brothers at, and I've been running strong ever since! 5 continents, 7 moves, marriage, babies, ups and downs... running is a constant for me. I also teach spin at the Greenhills Y, serve as the Executive Assistant to my 3 little CEO's (my kids), am active in our community and coach running or sports whenever I can. You can find me early mornings in Percy Warner with my sidekick, Ollie (my Black Lab). Favorite races include Boston, HoodtoCoast, and The Outer Banks Marathon because that too is a happy place for me. (Photo taken before the bombs went off in Boston 2013). I’m a Nashville native and have been an athlete my entire life. I grew up competitively swimming and was an All-American swimmer in high school. It wasn’t until I moved to Chicago after college that I started running. Since then, I’ve spent the better part of 13 years running everything from 5ks to 60ks on both road and trails. While I enjoy road racing, the trails are where I’m most comfortable. After a severe calf injury in 2015, I took a break from running all together and became a certified yoga instructor. I currently teach Fleet Feet’s Yoga for Runners Program and it brings me such joy to watch my fellow athletes learn about strength and flexibility during my classes. It’s an honor to be an ambassador for Fleet Feet and I’m looking forward to running and racing again this year! I’m an Aussie expat who moved to the US in 2004 and started to take running seriously after my first marathon in 2010. As at May, 2017, I’ve completed 26 marathons (Boston x 5, NYC & Chicago x 2) and 4 ultras, including Comrades in South Africa (56 miles), which I will be running again in 2018. Running has helped transform my life. I’m 65 lbs lighter than at my heaviest and I’m thankful to have been influenced by people who emphasize a safe and healthy approach to continued improvement. Diet (zero sugar and alcohol, low carb high fat ), training by heart rate and, more recently, using power have had a huge impact and I definitely believe that the less shoe the better (minimalist all the way!) Yoga is also a big part of my routine. Looking forward to supporting the Nashville running community and excited to call this place home! Malin grew up outside Stockholm, Sweden, but for the last decade or so has called Nashville her home. Raised in an athletic family, Malin pursued everything from cross country skiing to handball. It wasn’t until 2009, after the birth of Malin’s 2nd daughter, that she fell in love with running. 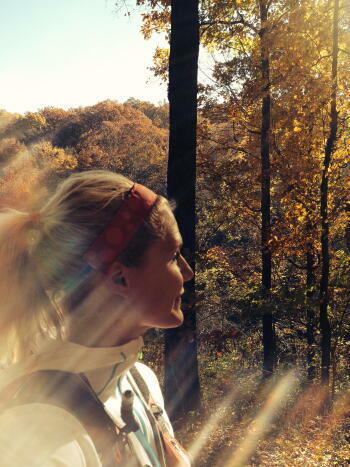 Since then she has completed races from 5k to 50 miles with focus on the longer trail races. When Malin is not running, you will find her working at Fleet Feet. She is also a certified personal trainer, Dirtbags coach, and is currently pursuing a Life Coach Certification.